Money problems are already a constant companion for a lot of people to the point that they already perceive it as acceptable. At this day and age, it is unusual to meet someone who does not have any type or form of financial challenges in life. There are those who need to earn more, spend less, pay on time, and many others. More often than not, financial problems revolve around debt. One thing you need to understand is that having a huge debt is not always a bad thing. Of course, it does not mean that you should go out racking up one debt after another. You can use debt to your advantage such as getting a college degree, getting that house you want, or even buying a car to help your business expand. Some of the money problems start when you lose focus and start to overlook your financial obligations in life. It can start with missed payments, charging more than your limit, or even opening multiple lines of credit all at once. Oftentimes, questionable money decisions usually lead to debt and there are ways to manage that. Debt consolidation is a popular repayment program for people who need to gain better control of their finances. However, consolidation can also help you solve more than just money problems. Here are a few things it gives you as well. If you choose to consolidate your debts, you get the chance to focus on some of the more pressing matters in your life. If you need to focus more on debt payments, combining everything under one account gives you the chance to oversee your payments better. You no longer have to keep track of multiple payments every month. You can key in a reminder in your smartphone to help you remember your payment due date. This can help especially as the Washington Post shares that about 6.3 million Americans are sending car payments late. This way, you lower the chance of overlooking a payment obligation. Since there is a big chance that you always have your smartphone with you always, you will see that reminder every time. Once you do, you can even use online banking to make the payment right there and then. This helps to solve your money problems and gives you the chance to direct some energy on how to do it right. It is also a good idea to explore bill payment options provided by your bank or lender. This works best for payments that have a fixed monthly payment. This is one of the money problems debt consolidation can help you solve. Once you combine everything under one account, you get one fixed payment. You can then enroll it in auto debit payments. All you have to worry about is making sure that you have the funds to cover the amount and you are all set. You are not born to just earn money and pay bills. That would be a pretty useless existence if you were to live like that. Deep inside you, there are interests, hobbies, and even dreams that makes you get up every morning. It can be traveling to a lot of exotic locations on Earth, surfing some of the biggest waves, or even trying out different types of food around the world. However, the reality is that it is quite a challenge to just pack up one day and chase your dreams. For one, you need to make sure that your finances are in order. One way of doing that is keeping your debt obligations to a minimum. 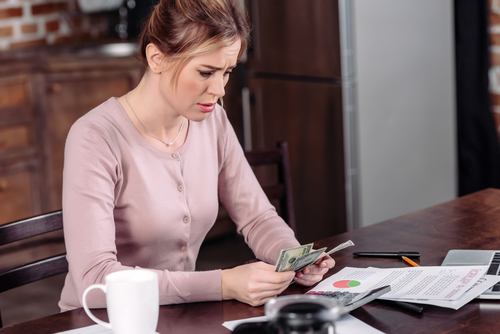 This is one of the money problems you can solve by considering debt consolidation as a tool to manage your payments better. Once you have fewer payments to worry about, you can start making plans to spend more time with your hobbies. You do not have to pack up and book a ticket the first chance you get. What you can do is start making small steps. If you love baking, start watching videos or even try your hands on easy recipes first. Once you put more time in it, that can eve evolve into an income-positive hobby. Financial stress is real and there are a lot of ways to deal with it with debt consolidation being one of them. Once you gain better control of your finances particularly your payments, you get to breathe a sigh of relief. Even if there are a few more problems you have to deal with, you are at least sure that your payments will be sent out in time. Stress, when left unchecked and allowed to control various aspects of your life can manifest in multiple ways. For one, it is mentally and physically draining. You might not notice the headaches and even body aches that it causes. For some serious manifestations, you might get an upset stomach and other health problems. If debt consolidation can help you sole money problems and lower down your stress, that is already a big deal. It can help you avoid many medical problems which can only exacerbate the situation. The lower your stress level is, the more you can make sound decisions and the better it will be for your health and finances. It is rarely the case when debt consolidation automatically solves all your money problems. Remember that it is just a repayment program meant to help you take control. You still need to put in the effort needed to make it work and be successful. Here are a few things you need to bring to the table. Once you decide to consolidate your debt or choose any other repayment program for that matter, you need to have a certain level of self-control. Once you combine your debts, you should refrain from adding more not until you have paid off a significant amount of debt. Doing so will help you focus your finances in paying off that consolidated debt. There is a reason why you are having to deal with multiple money problems. It can be your lack of an emergency fund simply because you never got used to saving for the future. You might have been using your credit card extensively and thinking that minimum payments every month is acceptable. It is important to correct these mistakes and create positive money habits. Habits such as saving a small amount every month or even paying off your cards in full every month. The more you do it, the more you get used to it and it starts to be a positive habit for you. It is also important that when you choose to consolidate your debts, you have to always keep your sights on your goals. If it was to pay off your debts in a year to help you save for a house downpayment, then always remember that. The next time you want to upgrade a fully functioning and usable car, think of the money you will spend and how it will push you further away from your goals. There is a good chance that it will make you think twice before making any hasty money decisions. There are a lot of money problems which debt consolidation can help you manage. However, there are also other areas in your life which will benefit once you are under the repayment program.